Morgan's Pier announced its opening date for the 2019 season. 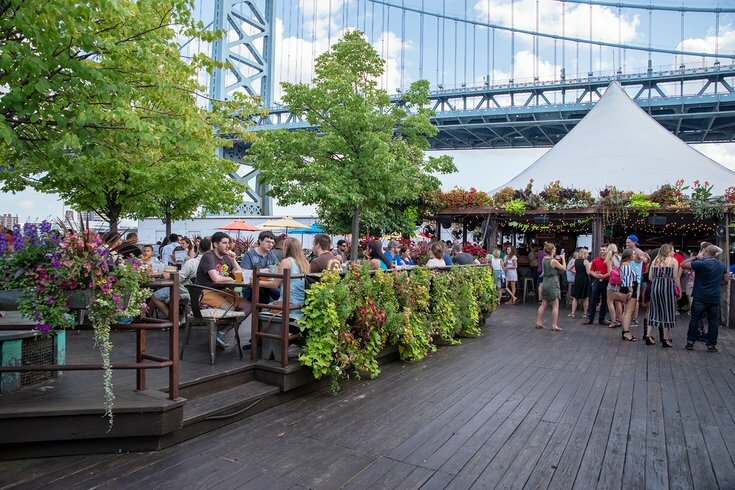 Popular Delaware River waterfront venue Morgan's Pier has announced when it will re-open for the 2019 season. Circle the date in your calendar and text your friends. On Thursday, April 18, the beer garden will welcome back visitors looking to eat and drink by the water. The doors will officially open at 4 p.m. After, Morgan's Pier will be open daily from 4 p.m. to 2 a.m. Monday through Friday, and 11 a.m. to 2 a.m. Saturday and Sunday. There will be karaoke every Monday night, monthly salsa nights and a variety of workshops, including candle making and flower arranging – all new for 2019. Visitors can expect lots of live music too. On Wednesdays there will be performances by the Sensational Soul Cruisers, while Thursdays will feature different bands and DJs will play during weekends. As for food and drink, the Chef-in-Residence Program is on hold. Each season, the beer garden invites a different celebrated chef to take over the kitchen but for 2019 Adam Lazarick will return. He is currently "focusing on developing the food program at the Pier and other FCM Hospitality locations," according to a press release. Lazarick was recently promoted to Culinary Director at FCM, working with the chefs at Parks on Tap, Craft Hall and Rosy’s Taco Bar. This season's full menu hasn't been revealed yet (check back for an update), but expect flatbread pizzas and sandwiches made with Lost Bread Co.'s breads to be featured at Morgan's Pier again. Also, there will be a new exclusive beer on the menu from Mainstay Independent Brewing Company, which recently opened as part of Craft Hall. Brewmaster Brian O’Reilly's Pier Beer will only be available at Morgan’s Pier.